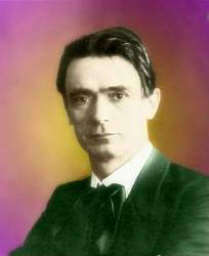 Truly Rudolf Steiner has created his own style during his life - his sculptures, his eurythmy dances, his medical advances, his Waldorf School teaching methods, and his over 6,000 lectures to audiences around Europe for over 25 years - all these and more speak eloquently of the unique style of a man who has single-handedly shaken the belief systems of agnostics the world over ever since. "True art creates its own style," and it does so by destroying the sameness that pervades the imitative art of the present time, always a carryover from earlier times, art from artists whose work, in their time was fresh, new, in its own style. Therefore true art often appears as a destruction of earlier styles of art. This is one of the reasons that modern art is often thought of as ugly — because the new style seems to destroy what was accepted as true art for so long. But life goes on, and the spiritual or supersensible experiences of the artists of today create new styles that no one could ever expect. Who could have expected a Raphael, a Titian, a Michelangelo, a Rembrandt, a Van Gogh, a Picasso in their time? No one. That is the remarkable fact about true artists: their work is always unexpected, and therefore undervalued during its own time. Van Gogh's brother Theo was only able to get seven francs for one of the paintings that sold recently for $300 million francs. No museum director would pay top price for the work of a new artist. No way. The work must mature, be accepted by many, be praised in the cultural centers, and only then will the director choose to spend a handsome sum for a work of the new artist. Tom Wolfe in his book, The Painted Word, has a lot to say about how what is said about a painting creates the value of the painting. It is as though an evolution of consciousness in the rest of us humans had to arise before we were able to value the spiritual insights of Van Gogh as he embodied them in his spectacular paintings. "True art creates its own style." No one has said it better than Rudolf Steiner, in my opinion. But the second aspect, that "true style can only come from men's supersensible experiences" is mostly overlooked by the agnostic age we live in. Go back now and re-read the above long quotation and ponder for yourself how it speaks to you in the age you live in as you read these words. Go ahead. Maybe visualize Van Gogh's painting, Starry, Starry Night, as you do. I'll wait for you before continuing to write further. Welcome back. 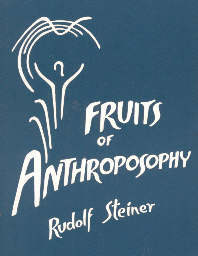 You have now had an aperçu or brief glimpse into a way of perceiving the world as Steiner did. In the midst of an era of agnosticism, Steiner wrote in 1885 in his Theory of Knowledge according to Goethe's Outlook, "We have a science which corresponds to no one's seeking and a scientific craving that nobody satisfies." Rather than treating material objects as things that could only be described by inputs from his senses, "Goethe developed a mode of thinking which was able to penetrate into the nature of the plant," i.e., he replaced "thinging" with "thinking." Rather than focusing on the content perceived from his senses when he examined plants, Goethe focused on the process that plants went through in their growth cycle. Using his powerful imagination he was able to create with his thinking what we can do with cameras today, time-lapse photography. Using those powerful imaginations, he was able to understand the process of metamorphosis of plants, how flowers are modified leaves, e.g. Later he was able to understand how the human skeleton also went through a process of metamorphosis, how our skulls are a modified vertebra on the top of the spinal cord. Steiner admits that Goethe did not get as far with human metamorphosis as he did with plants and asks, "Why could Goethe command one realm of nature and not another?" He defers till later the question, but I would hazard this answer: Goethe did the best he could at the current level of evolution of consciousness in his time. The time scale expands greatly when one moves from the metamorphosis of plants, which can be observed physically in most plants in a single season, to the metamorphosis of humans, which no one human can ever observe physically because it extends over eons of time. To put it another way, we cannot observe the metamorphosis of humans by using only the sensory apparatus that views the physical world, but human metamorphosis involves the development of four bodies, and only one of those bodies, the physical body, is accessible to our physical senses. In many lectures Rudolf Steiner describes with his supersensible sight the evolution of the human being, its metamorphosis, using his super-phenomenal abilities, his super-sensible sight. [page 10] This title implies a conclusion drawn from what you perceive to what is not perceptible, and this can never lend to true spiritual knowledge. Just as facts in natural science are observable, so must psychic-spiritual facts be accessible to spiritual observation also. Through thought we can unite ourselves not only to the outer world, but also to our I-consciousness, and in I-consciousness lies human freedom. Our human freedom lies in our I-consciousness, our Ego body, the fourth and highest body of the human being. To even discuss a philosophy of the unconscious without acknowledging the Ego body is a folly, one which modern materialistic science today is as guilty of as it is unaware of, up until now. [page 10] Thinking itself must bring about the state of freedom, in that it is not void of contents while ceasing to rely upon sensory perception, but that it fills itself with the contents of the human soul. The methods of spiritual science are nothing else than the experiences of the content which is there when the human soul loosens itself from the rivets of outer objects, and can still have the strength to experience something. Goethe was Steiner's forerunner as he showed us that nature must be understood poetically, that, in Steiner's words on page 12, "art is the revealer of nature's secrets. The world is not fitted to surrender its nature to merely logical thinking." If it were so, then the Star Trek characters of Spock, Data, and Tuvok would all be commanders of their ships rather than Science Officers, relegated to collecting data from the sensory world and relaying it to Kirk, Picard, and Janeway for final action. What is the content of the world apart from our sensory experiences of it? Steiner gives us these three aspects of the content of the super-sensible world: Imaginations, Inspirations, and Intuitions. These words represent content in the spiritual world and are not used in their ordinary dictionary meanings. A full description of them are found in Steiner's Occult Science and elsewhere, but a summary of each is appropriate here. [page 16, Imaginations] Imaginations called up in the soul, will be found not to relate primarily to personal experience. They may be exactly the same in character as memories, but they relate to a world that is not accessible to the physical senses, though nevertheless entirely objective, in a world alive and active within the sense-perceptible world, but not revealing itself through the organs of sensory perception. "Ho Boy!" some of you may be thinking, "Now we're talking hallucinations! This man's off his rocker for sure! Objective hallucinations - that's LSD-ville!" To think that way is to confuse the process of one's Self with the content of one's Self and is not a healthy way to live or think at all, as the bad trips on LSD [popular psychedelic drug of the 1960's] showed us. Steiner's words below could have provided some important guidance for those embarking on their first LSD trip. [page 16] All the time we are looking at the outside world in a healthy way, having a healthy regard for our position in that outside world, we need to distinguish to some extent between our Self and the content of our Self. If we are overwhelmed by the content of consciousness, of Self, so that the necessary awareness of Self is partly paralysed, unhealthy conditions will result, including those of visionary, hallucinatory activity. Anyone able to consider these issues without prejudice will know that in the spheres of healthy sensory perception we are always to some extent aware of our own egoity, and he will know that visionary, hallucinatory activity is at a level below such healthy, normal sensory experience. He will not feel the least temptation to take such reduced levels of consciousness for revelations from a world that ranks higher than the world of the senses. . . . It is reflection on our own Self, on the I, which raises sensory perception above the level of mere visionary, hallucinatory, dream-like experience. Steiner warns us that there is no shortcut to super-sensible perception and that those who attempt to achieve shortcuts, such as the LSD-trippers did, will develop not humility but a kind of megalomania. This is an observation made forty years before the 1960's, but one that may now be checked out for its veracity by a review of the history of that period. "Okay, so what? If I have Imaginations, what good will it do me?" Steiner tells us on page 22 that one will become able, for example, to experience in one's perception, "how the movement of the sun through the Zodiac, something normally regarded as merely a physical, mechanical process, is indeed a living, cosmic, organic process." Thus we come to achieve living soul content in a new way, one that is not attainable by logical thinking alone, rather by a way that, during a previous stage of the evolution of consciousness, our ancestors were able to achieve instinctively. Since the 15th Century revolution wrought by Francis Bacon and others has led us to value logical and empirical reasoning over all other forms of thinking, we have lost that previous instinctive ability. Our challenge now is to regain that formerly instinctive ability of Imaginations, but in a new way, one that now allows us to clothe this ability in concepts for the first time. Formerly this instinctive knowledge came to our ancestors as the image of a serpent eating its own tail, the mythical ouroboros, which to them spoke to the method they must follow to achieving knowledge of their Self. The part of the tail that the serpent eats is the part that is spiritualized and becomes as it were, an aura surrounding the serpent. Here is a figure of the tooled leather cover of my Vademecum, a book cover given to me by my daughter Yvette that I use on the current book I'm reading. It shows a stylized image of the Ouroboros with two serpents eating each other's tails. What does this mean about our view to modern materialistic science? 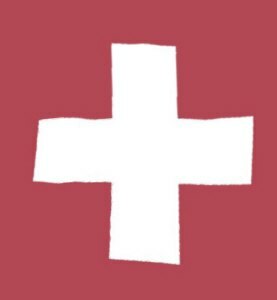 Can we use the methods of science to show that it is wrong? Steiner says clearly, NO, and points us in the appropriate direction. [page 30] It would be wrong for spiritual science oriented in Anthroposophy to approach science with criticism, using dead concepts. Instead, it is necessary to take up the views science has achieved, the advances made in research into nature, and take them forward into living concepts. The knowledge gained in science should not be opposed in a dead spirit, but taken onwards to the living spirit. There are no basic emotions. This is an insight that the nascent science of doyletics, rightly understood, provides us here at the beginning of the 21st Century. What we have are individualized memories stored in our body as doyles or physical body states that stem from our individual set of personal experiences before we reach five-years-old. Using a metaphor to lead us to understanding Imaginations, Steiner tells us that Imaginations are similar to our individualized experiences, and then leads us into the cosmos. He has now extended the process of human metamorphosis that Goethe began. Goethe's best attempts led only to understanding the metamorphosis of the most basic body of the human, the physical skeleton. Steiner expands our view by directing it to the source of the etheric body in the cosmos. [page 35] The memory process is however individualized into the human body - if I may put it like this, made individual for our personal experiences. The process of Imagination moves away from the human body, aligning itself with similar processes that occur in the cosmos, outside the human body. One aspect of the West's increasing awareness of Eastern cultures since the 1960's has been that more and more people are turning to yoga and other breathing disciplines, up until now. If we understood the evolution of consciousness as Steiner does we would avoid these atavistic disciplines from now on. Steiner so seldom uses the imperative must that we do well to pay attention to his advice when he does use must as in this next passage. [page 39] The organization of our present culture is such that we cannot copy the process gone though in the yoga exercise, and we must not copy it. It would cast us down into the physical organization. It may be said that our soul life is no longer on the plane where the soul life of the Indian was in the past. His soul life tended more towards sensibility, ours tends towards intellectuality. And in the sphere of intellectuality, yoga breathing would present the risk of man destroying his physical organization. For our current stage of evolution of consciousness, the exercises that Steiner described in his book, Knowledge of the Higher Worlds, is recommended, as these exercises do not cast us down into our physical organization, but are rather in the sphere of soul and spirit with only a hint of breathing process, and that only on rare occasions. [page 39, 40] The essential part of our exercises to achieve Imagination lies entirely in the sphere of mind and spirit, the sphere man has experience of when working with geometry and mathematics. The work which has to be done to achieve Inspiration also has to be in this sphere. We are now ready to move from Imaginations to Inspirations, which is the second of three aspects of our learning to see into the super-sensible or spiritual realms. For the development of our physical being we can simply live and we progress through childhood into old age, and few are reluctant to proceed with that growth. But in the area of inner soul content as we are discussing here, there is a hesitancy, a reluctance to proceed, up until now. For when we do so, we move from thinking linked to the perceptible world to motivations for our thinking which is linked to the supersensible world. One of the primary principles of the field of General Semantics as founded by Alfred O. Korzybski around 1933 is the time index, which means simply that a person at time = 1933 is not the same as that same person at time = 1966 or in annotation: John1933 does NOT = John1966 . We have to expect some metamorphosis of John during those thirty years. Our map of John as we last saw him in 1933 must be updated to account for the changes we experience when we see him again in 1966. So much humor of such comedians as Robin Williams consists of mocking the maps we have of life. We laugh because we recognize the fixed maps we share and realize suddenly that these are only maps and we change immediately in the process of laughing, we metamorphose on the spot. This process of changing as we laugh is what attracts people to comedians - they want the metamorphosis, and once they have it, once they get it, their metamorphosis is complete, and the same comedy routine no longer holds the same excitement for them thereafter. How can something be funny one day and not the next unless the person has changed in the process? Life is like Robin Williams mocking maps that we have of life. It always throws us a curve that we are not expecting and we change in response to it. [page 41] Anyone who gets into the habit of forming concepts and then applying them can easily find himself in a situation where realities make his applied concepts utterly meaningless. Someone who operates on maps is subject to such follies as the man who ate the menu at Antoine's Restaurant and complained about the food. Why all this fuss about concepts? It is essential to moving to the next step, Inspiration. [page 42] And so it happens that, ascending from Imagination to Inspiration, we are not able to use the concepts that are quite rightly and properly used in ordinary consciousness. They will have to remain for purposes of orientation, but need to be modified when perception is addressed to the truly inner world, that is, to the spiritual nature of things. This then lifts the logical distinction between 'right' and 'wrong' out of th abstract as we advance from Imagination to Inspiration. In the world that now present itself as a spiritual world outside us, we shall no longer be able to manage it we use the terms 'right' and 'wrong' in the same way as we have learned to use them, quite rightly at an earlier level of perception. the ideas 'right' and 'wrong' now become something much more concrete, something we now experience in the radiant Imaginations that arise in us. Where they are concerned, we cannot say 'right' and 'wrong' the way we do with reference to ideas in the intellectual sphere. At this point, more concrete ideas arise specifically in the sphere of soul and spirit; one thing is 'sound' or 'healthy', another 'sick', one encourages life, the other kills it. the abstract notion of 'right' turns into a more concrete notion, and what we are tempted to call 'right' is something that brings life and health into the spiritual world, while the things we are tempted to call 'wrong' bring disease, paralysis and death into the spiritual world. Let's look at the spectrum of spiritual reality as it extends from Imagination through Inspiration all the way to Intuition. In Imagination we have a visual experience of the spiritual world, in Inspiration we breathe the spiritual world into us, and in Intuition we live in the spiritual world, "become one with it" as Steiner says. [page 43, 44] We live in Intuition when we are at one with spiritual reality. This means nothing else but that in man as he is today, in this period of world evolution, perception of physical things is at one pole and intuitive perception at the other. Between these two poles lie Imagination and Inspiration. [page 44] "The individual human being is not truly separate from the world. He is part of the world, and there is a connection with the cosmos as a whole that is a reality and is broken only in our eyes, the way we perceive it. We see this part initially as something existing by itself because we do not see the 'ropes and belts' used by the basic forces of the cosmos to move the wheel of our life." . . . In his human nature, he is linked to the cosmos through 'ropes and belts', that is, through spiritual entities. Yet man is only able to perceive this connection if he now goes through the intermediate stages between object-based perception and Intuition, stages that are not required for ordinary reflections. He needs to ascend from object-based perception through Imagination and Inspiration to reach cosmic Intuition. Science teaches us how to understand the world we live in using our sensory experience and the causal origins of things. This method works so well in the physical world that it has come to be applied to us humans, and the results are less than satisfactory because there is something unique in us humans that cannot be reached by the methods we use on the physical world. In addition, those methods are extended to cosmic facts such as the evolution of the earth, even to the freedom of man. Therein lies a tale of woe, because the results of this natural extension of techniques is less than satisfactory, up until now. [page 47] He will extend the sphere of absolute necessity to the most inward and subtle aspects of human nature, with the result that man is completely held in the cocoon spun by science-determined inevitability. One of the results of this thinking is the inevitable heat-death of the earth, which Steiner likens to a "vast battlefield strewn with the corpses not only of all men, but also of all moral ideals." For if that is the fate of the earth then that must also be the end of all the morals and ideals of its human beings. Is this the only result possible from our materialistic science? If not, why not? [page 49] You see, the inward element which has to do with the rank and dignity of man cannot be considered something which is in being and can be incorporated in a philosophy based on recognition of natural inevitability only. The goal of the process of Imagination is to achieve "insight into a genuinely objective supersensible world" - that is to achieve in soul and spirit what our physical and etheric body does in the process of remembering genuinely objective physical world events. [page 51, Inspiration] To advance to Inspiration, it will then be necessary not only to practise the generation of such ideas in soul and spirit, ideas similar to remembered ideas, but we shall have to direct our efforts towards forgetting in soul and spirit, removing such Imaginations from the consciousness we have now achieved. . . . The lighting up of such objective Imaginations, Imaginations not arising out of us but out of spiritual objectivity, that is Inspiration. We are in a way reaching the borders of the supersensible sphere which reveals its outer aspect to us in those Imaginations. In the process of Imagination we perceive our whole life as a progression, as a river, e.g., and we see that we live in the River of Life. When we gain the process of Inspiration it is as though we sense the water vapor that feeds the River of Life. A river begins from the draining of precipitated water vapor which flows for a time with the river only to evaporate again from the river's surface to continue the cycle - it is the water molecule that, through the cycle of evaporation, raining, and flowing, endures. In the process of Intuition we live into union with the reality of the spiritual world and we come to experience the Ego, the eternal I, that which in us endures. [page 54] The relationship between the objective world outside of man - which we are approaching through Inspiration - and man himself shows us that through Inspiration we become aware of a cosmic entity that extends its activities into us through ideation. This inspired world comes in specifically through the breathing process, the rhythms of which continue also into the processes occurring in the brain and in the rest of the organism. [page 63] When the results of Imagination are revealed, man's souls perceives - and I have already described this in these lectures -- everything encompassed within his life from the time of birth as one cohesive stream. the ego grows beyond the here and now, sensing and experiencing it self within the whole river of life, from the time of birth. [page 63, 64] As man advances to Inspiration, the world he lived in before birth, or before conception, opens up before him, and this is also the world he will live in when he has gone through the gate of death. In this way, the immortal element that is part of man's life becomes the object of his perception. [page 64] In Intuition, finally, the prospect opens up of repeated past earth lives. The things anthroposophical spiritual science speaks of may therefore be defined as such that the individual steps needed to achieve these results are stated in every case, and that the results are verifiable, as I have said, because they have to be expressed in thought forms that are accessible to everyone. [page 60] "Freedom! Gentle and truly human word, you hold within you all that is morally favoured, what does most honour to my humanity; you make me subservient to none, you do not merely establish a law, but wait to see what my moral love itself will come to recognize as law, seeing that it feels unfree in the face of any law imposed on it."